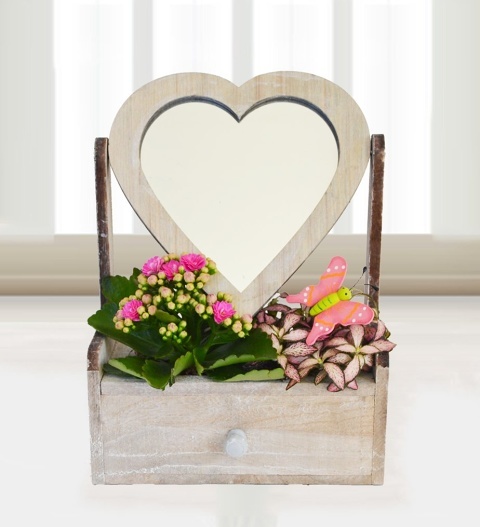 This stunning potted plant display consists of Kalanchoe, a wooden heart-shaped mirror, and a butterfly to top it all off. Send this plant as a birthday gift, congratulations gift, or even as a symbol of your affection. Perfect for any occasion, this plant is also really easy to care for and available for UK next day delivery. Anyone lucky enough to be on the receiving end will undoubtedly enjoy watching this plant show off its blooms! Chocolates may contain nuts.